It was in the fifth day of my monitoring to my child who is sick with chicken pox when I wrote this post. In my recent post “Symptoms of Chicken Pox in the first three days,” I mentioned the symptoms that I observed from him. I tried to ask my mom, mom-in-law, sister and pediatrician on what to do with my son who is sick with chicken pox and they told me not to worry about. I have learned important things from them. 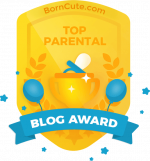 I love it because it is another milestone for me as a mom. Now I want to share what I have learned from them and my experience as a hands-on mom to my sick child. What to do when your child is sick with chicken pox (Bulutong Tubig in Filipino)? Do not take your child to bath. I believe that it is not advisable to let your child to take a bath when he is sick with chicken pox because his body is adjusting and preparing to release the red and itchy rashes (chickenpox blisters). Taking a bath may delay the appearance of the chickenpox blisters that appear in crops in 2 to 4 days. Boil Cilantro seeds (Kulantro as they say in Filipino wet market) in a kettle filled with water. Use the boiled water with a clean towel to cleanse the face, scalp and body to a child who is sick with chicken pox. This can be done at least two to three times a day or depending on the itchiness of his body. This was taught by my mom. My mom-in-law also agreed that this is the traditional old-fashioned way of curing chicken pox. I wonder why and they told me to just do it because it will really treat. Since they cannot tell me straight what Cilantro or Kulantro do to chicken pox/ bulutong tubig, I have done some research. I found out that Cilantro or Kulantro is a cure all for viral and bacterial infections. Chicken pox is caused by the varicella-zoster virus (VZV) and with the help of Cilantro or kulantro it will surely cure the virus. The coriander seeds oil have found application in many traditional medicines as analgesic, aphrodisiac, anti-spasmodic, deodorant, digestive, carminative, fungicidal, lipolytic (weight loss), stimulant and stomachic. Also, Cilantro herb is rich in anti-oxidants and dietary fiber which helps reduce LDL or “bad cholesterol” while increasing HDL or “good cholesterol” levels. Do not apply any cream to the chickenpox blisters because it will fade or heal naturally as advise by my pediatrician. I think it is not advisable to put creams on the rashes or blisters to avoid the delay of the natural healing process of the skin. I have read that there are some cases that it may develop complications like skin infections near the blisters so be very careful not to rub the chickenpox blisters and rashes. For children, you may let them wear mittens to avoid rubbing the rashes. To relieve the itchiness, clean the affected part with warm Cilantro/ Kulantro in boiled water. You may also ask your doctor or pediatrician on their recommendations for your child’s medicine to take. My 35 month-old child take Allerkid twice a day and I have observed that it helps. I also gave my child paracetamol for kids if he has a fever. Make sure to clean carefully the private parts of your child, hands and brush their teeth regularly to avoid bacterial infections. Usually these parts are susceptible bacterial growth. I am thankful that on this day my child can sleep better. Although he is not completely healed, I can see some improvements with his mood. Praise the Lord! Filed Under: Child Care Tagged With: bulutong tubig cure, chicken pox cure, What to do when your child is sick with chicken pox (bulutong tubig)? Where can I buy colantro? You can buy Colantro/Cilantro/ Kulantro seeds at the wet market vegetable section. I don’t think I had chicken pox when I was a kid. Makes me scared of it now as an adult. Thanks for sharing this helpful article Jem. 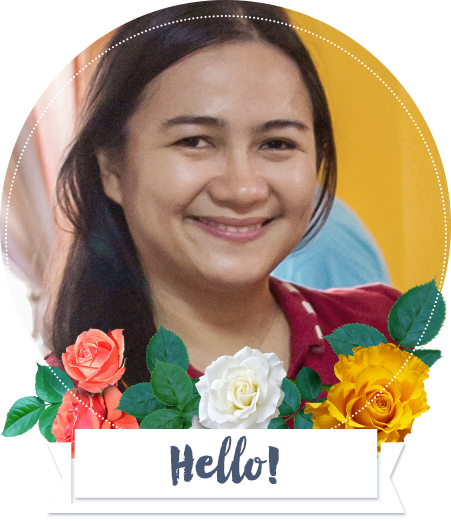 try to look kulantro in sulit.com.ph. I know there is a lot of seller there. i still have the scar of chicken pox in my face…but no worries… i actually learned to love it. to relieve the itchiness, try oatmeal bath. it’s proven when my eldest son had chicken pox. Thanks for the tips. Good to know that treatment only needs cilantro. Im not sure kung ngka-chicken pox na ko before. but thanks for sharing this tips. I didn’t know that Cilantro seeds are one of the cures for Chicken pox. Thanks for sharing these tips. I remember being subjected to these procedures when I got chicken pox 13 years ago. Very informative. Having chicken pox is very hard for kids. I had it when I was in grade school and it was really itchy and painful. Your post is such a big help. Thanks for sharing this. I never had chicken pox so I’m kinda scared everytime I hear anything about this.. Scary.. I had my kids vaccinated. But, this is very informative! bookmarking! good to know your little boy is doing better now. I never knew Cilantro can give a cure. Thanks for this! This is a very helpful article to all the moms out there. Nice tip. Chicken Pox would appear in time for the summer. Got it when I was small. last year but I did not use Cilantro. this post for future purpose. 10 days na kong may CP at absent sa class ko. pwede na ba akong pumasok kahit na nag dry na CP ko at nag dry na ito(parang ngclot na ito)? I hope that you feel better now. I would suggest na magpagaling ka muna totally mas madaling makahawa ang bulutong na pagaling na.. I remember that it took about three weeks before my husband go back to work after being sick with chicken pox. My 8-month-old daughter has chickenpox and her pedia said it’s okay to give her daily bath. I will definitely try the cilantro. Thanks.